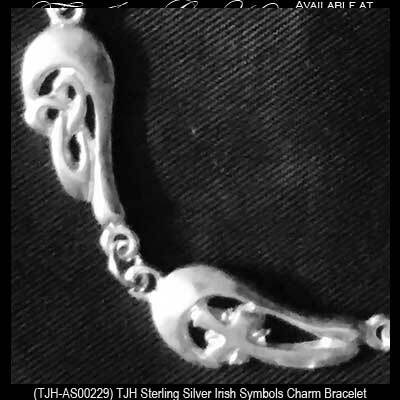 The sterling silver Irish symbols bracelet features seven links that include the Claddagh and shamrock along with the Trinity knot, Celtic cross and the Irish harp. 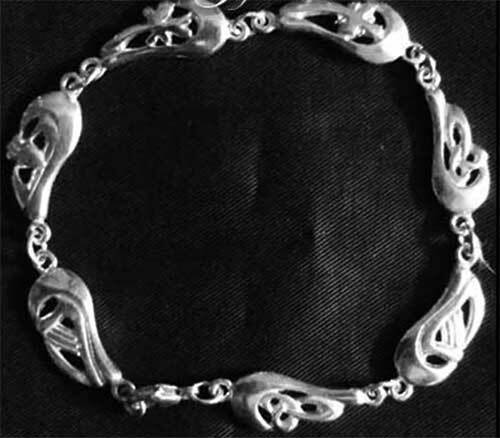 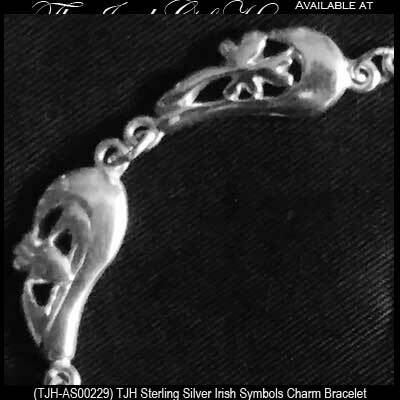 The Irish symbols silver link bracelet measures 7" long and has a lobster claw catch; the links measure 5/16" wide x 7/8" long. 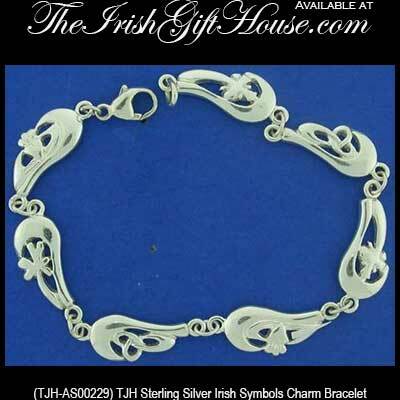 Please note that most women's bracelets are 7 1/2" long, so this 7" long Irish symbols bracelet may be better suited for girls and women with smaller wrists. 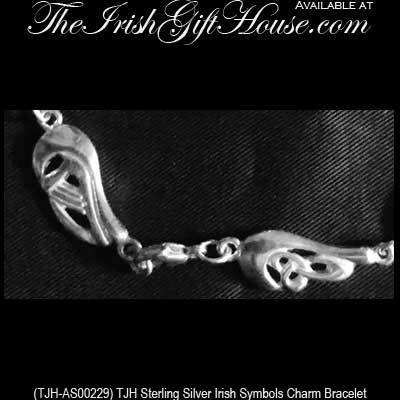 The Irish symbols link bracelet is made by TJH in Dublin, Ireland and is gift boxed with the history card for the respective icons, complements of The Irish Gift House.